Easter is tomorrow! 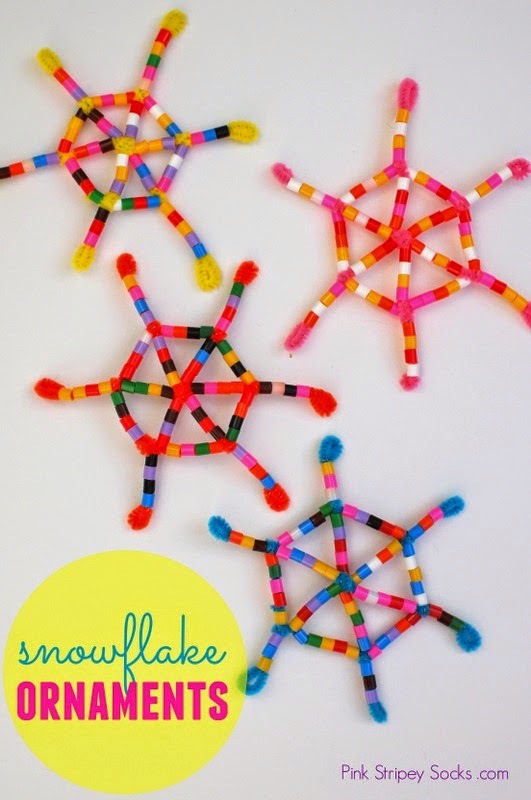 And if you're looking for a super easy and cute kids Easter craft.... this is it! 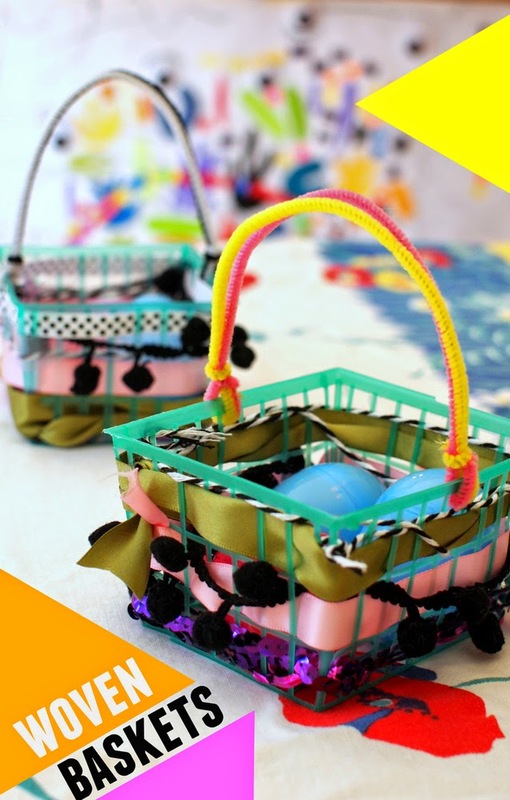 Check out these woven Easter Baskets! A friend left her strawberry baskets at our place the other day. I kept meaning to return them to her, but never got a chance. Oops. So they just kept staring at me this past week... whispering, "Craft with me, craft with me." Well, of course I had to obey their siren calls. With all their open holes, I knew they would be perfect to practice weaving on! 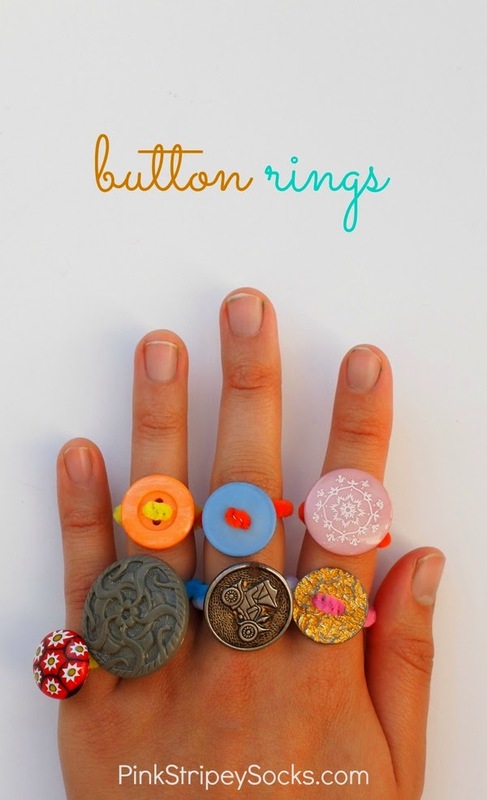 I love a good egg carton craft. We don't eat eggs too often here, so whenever we finish a carton, I'm always super stoked to make something with it. Today's Egg Carton Insect Craft came about because ants have been on our minds a lot lately. For some reason there seem to be ants EVERYWHERE in our new home. Eeek. Plus, we recently watched "Honey I shrunk the kids" and Chuck loved Anty the giant ant. So that's why we had to make ourselves some egg carton bugs! Let's Make Egg Carton Insects! Today we're continuing our spring flower theme with these easy to make coffee filter flowers. Now I'm not a coffee drinker, but I bought a pack of filters anyway because I really wanted to try making these with Chuck. He had a lot of fun helping me to dye the coffee filters different colors with food coloring. Then, I had a lot of fun cutting them up and turning them into a lovely and everlasting bouquet of colorful flowers. Do you need a colorful boost today? 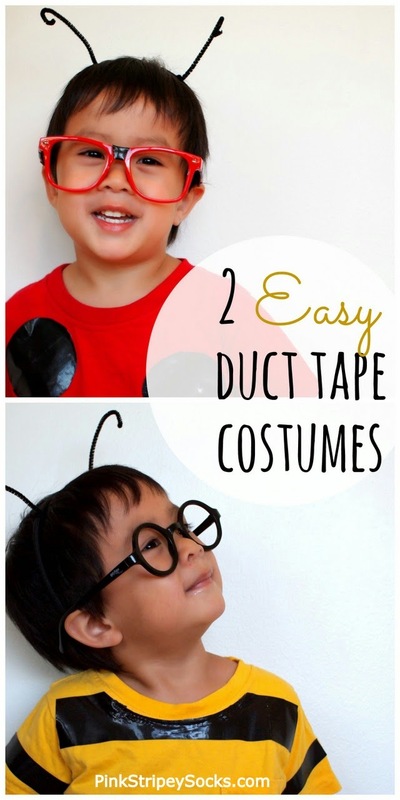 Or do you need a quick and fun activity to do with your kids? Why not try your hand at making a lovely bouquet of coffee filter flowers too? Even though I really enjoy crafting, sometimes it takes a bit of persuasion to get Chuck to join in. Currently he's much more into playing with toy cars than crafting with mom. Go figure! :) But I'm a persistent bugger, so I keep encouraging him to make stuff with me. Glue your tissue paper squares onto your lunch bag. Crumple up newspapers and stick them into your bag. 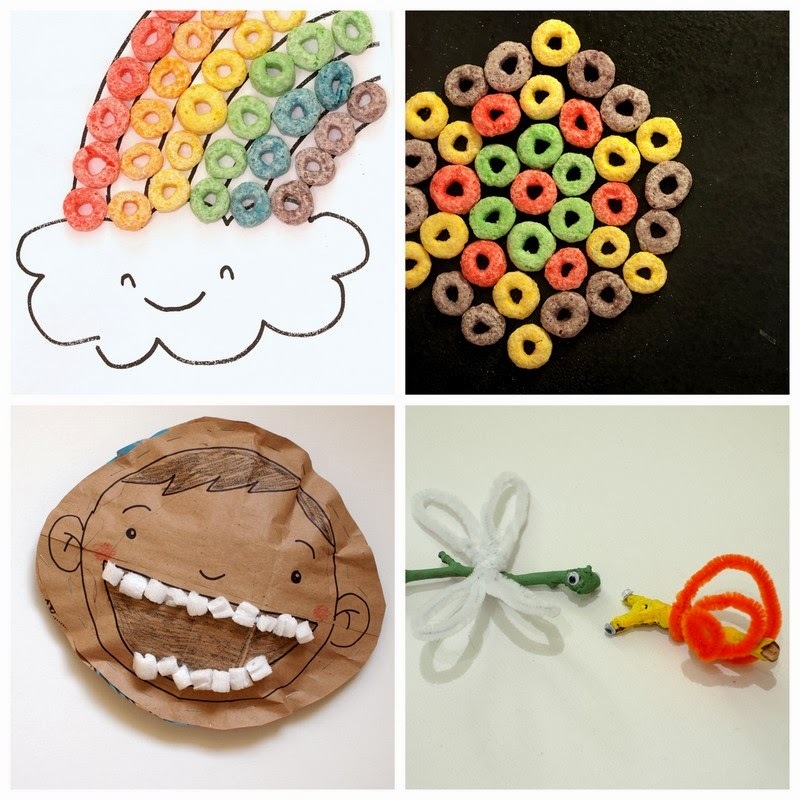 Use a pipe cleaner to seal up the bag. Place leaves in a heavy book to flatten them. Tape down contact paper, sticky side up. Stick leaves and tissue paper squares onto your contact paper. Place a piece of contact paper(sticky side down) on top of your first piece of contact paper. Trim the edges and tape your leaves onto a window.